You’ve probably said “Sian la, I WANT TO MIGRATE! !” like 500 times a day. After all, there’s the “stupid 70%”, the rising living cost, MRT breaking down and many other complaints we have on a daily basis. True, Singapore can be pretty mundane and stressful sometimes. But in every cloud, there’s a silver lining. So, here are 53 things that Singaporeans will definitely miss if they were to migrate! You know that kukubird that “kuwuuu! kuwuuu!” in the wee hours of the morning? Many of us wake up to the Koel Bird’s calling and if you haven’t slept when you hear it, you know you’ve screwed up. My mum used to tell me “If you naughty I sell you to Garung Guni.” We made insensitive comments and were taught not to become like them — to study hard and have a good future. These folks push their carts around neighbourhoods (sometimes for many hours) to buy the unused things that you have no need for at home and at the same time offering you some money for it. We definitely have not given them the credit that they deserve. I’m always very happy to hear the “Pipor! Pipor!” downstairs my house because it means the Ice Cream Uncle is here! I know the most iconic one is the Rainbow Bread ice cream sandwich, but my favourite one is the Raspberry Ripple between two waffle biscuits, Shiok! These uncles would ride around schools and sell the kids ice-cream, blessing them in the sweltering hot weather in Singapore. You can spot them at your neighbourhood schools, Orchard Road, and sometimes right below your HDB block. These tissue aunties would go around coffee shops, hawker centres and food courts to sell their tissue packets, with most of them doing so as their only source of income. We should be grateful to them because who knows? Maybe one day when you have a tummy ache and find out that there’s no toilet paper, you’ll find one of these tissue packets in your pockets and know that your good deed have paid off. You know the friendly Makcik that always calls you ‘Sayang’ and ask you what you want to Makan? They work tirelessly throughout the day to fill your stomachs and still bless you with a warm smile every single time. Thank you, Makciks for always giving me the love and validation that we crave. You’ve probably heard the MRT announcement a million times. Train to work, train back home, you’ll hear it so many times that naturally your ear tunes it out. But if you were to migrate, you’ll definitely miss the announcement “Dear passengers, please stand behind the yellow line” repeated in four different language. It’s like your daily commute via the train is no longer the same anymore! Did you realise that during Hari Raya, malay families tend to color coordinate their outfits? It’s very heartwarming to see a family dressed in similar fashion, demonstrating unity and strong culture in the malay community. I don’t know if you are a night owl/early riser, but do you know that our National Anthem is played on TV as well as radio stations before they start their broadcast for the day? Isn’t it nostalgic to hear the National Anthem years after you left school? You won’t be able to experience this if you migrate out of SG! Did you know that Singapore’s National Anthem, “Majulah Singapura” is printed on the back of the $1000 note? It’s in microprint, so you can check the note’s legitimacy! Remember when Mcdonalds brought mcgriddles into the menu and then stopping it abruptly? Good times. #ripmcgriddles Everytime Mcdonalds comes out with a new promotional menu, Singaporeans will flock to them like ants to a Durian McFlurry. Tourists flock to Singapore and crown it “Shopper’s Paradise”, especially during GSS. There’s always something for everyone regardless of what you need, and Singaporeans LOVE discounts. Even at 23 years old, I’m still hella excited to see the red and white canvas because it means Pasar Malam food! Pasar Malam have a long history of offering cheap street food and recently, they’ve even brought back mini carnival games! As we know, our beloved Escape Theme Park(#rip) have closed down and the only theme park we have as of current is USS. Thank you Uncle Ringo for your bumper cars, it brought us back to the good old days! Every Hungry Ghost Festival month A.K.A the Chinese version of “Halloween”, Getai(s) (Translates to song stage) can be found in empty fields where you’ll see performers grace the stage dressed in extravagant costumes, and the crowd will be seated in red chairs while they watch the perfomance. If you look closer, the front-row seats are empty because they are reserved for the ghost as a form of respect. Fact: Singapore held its first F1 race in 2008, and its the first and only country to hold night races. For non-motor sports fans, there’s the concert with a line-up of different artists every year. This year, The Killers are coming to town, along with Dua Lipa, Jay Chou and so on, so check out their website for more information! Even if you’ve never attended F1, you’ve definitely heard the race when you are around town. 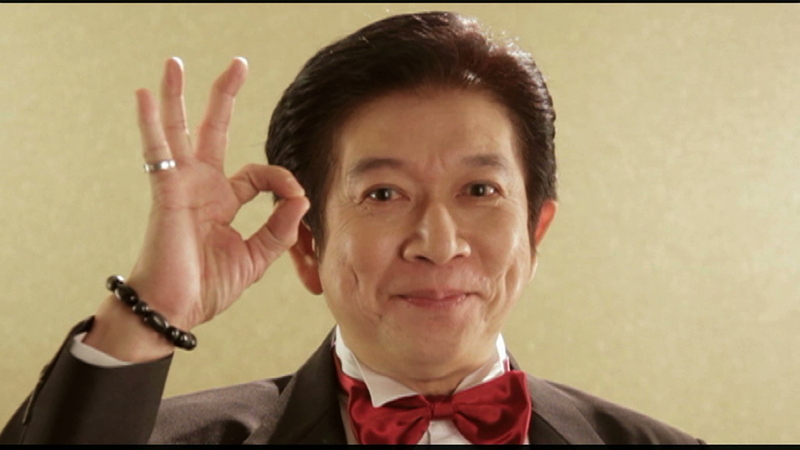 Without “interesting” characters like Steven Lim, Singapore will be pretty dull. He may not be Singapore’s proudest hero, but he’s definitely the type of entertainment we need. Ah yes, their cringey 7:30pm/9pm dramas and annual Chinese New Year MV. Never forget 2017 when “Gu Ji Gu Ji” played during commercials and the dabs that gave everyone secondhand embarrassment. You know the guy that always appear during CNY and tell you your zodiac clashed with Uranus so you must remember to drink water or you’ll get diabetes? Iconic. The moment you hear “Aiyo, Zhen De Shi..!” You’ll subconsciously contribute “Shang Nao Jing Ah!” She’s been a classic since the old days, and this year Jack Neo produced Wonderful Liang Xi Mei during Chinese New Year for nostalgia’s sake. After kicking balls at the void deck, you’ll head to the mama shop to buy drinks, ice cream or “serng bao” (ice pop) to cool down. I think we all take it for granted because of how convenient you can grab some basic necessities downstairs your house as compared to travelling miles to the nearest grocery store. Honestly, there are things to do within your neighbourhood community centre, but we probably brush it off because it’s “uncool” or for “old people to pass time”. Apart from Tachi and Taekwondo, do you know you can learn skills like 3D Printing and Leather Crafting? Click here to find out more about the other programs! Void decks are “voided” apart from perhaps communal seatings because it’s a space for community activities. ‘Illegal’ friendly soccer match? Check. Weddings? Check. Flea markets? Check. When there aren’t any events, the communal space are often occupied by elderly playing chess in the morning and youngsters lepaking in the evenings. Hawker centres are the best because you get a variety of cuisines in a row of stalls. For example, at the famous ChompChomp, you can get Ork lua, satays and sambal stingray, all under one roof! Al fresco dining may be different in Singapore’s context, but it’s precisely the smoke and smell that makes it uniquely local. I’m not talking about LiHo or Gongcha, but the neighbourhood bubble tea stalls tended by friendly aunties/uncles. You can get a milk tea with pearl at $2, cup noodles and some bubble tea shops even include cheese fries and seaweed chicken in their menu! Isn’t it convenient that there are 24/7 shopping and food places in Singapore? In other countries, it’s pretty rare to have food stalls or shops opened for 24 hours, which is why I’m grateful that places like Mustafa is opened 24 hours for late night shopping. Most people know Singapore for our local delicacies. Apart from Singapore’s iconic Chili Crab, there are other underrated local food such as bak chor mee which we would regularly order in our neighbourhood coffee shops. Asian food overseas, especially in Western countries, are a rare sight and they would normally cost a bomb. For example, a plate of chinese fried rice can cost a whooping $20! Remember every CNY reunion dinner, you’ll sit with your family in the living room and watch the CNY Countdown program on Channel 8? On the last 10 seconds, you’ll countdown together and shout HAPPY NEW YEAR or HUAT AH! Geylang Serai Ramadhan Bazaar is one of the biggest Pasar Malam in Singapore every year, fetching 800 over stalls in 2018. From fasting muslims to young hipsters, there is an attraction due to the large variety of food stalls. Regardless whether you are pro-Ramly Burger or Pro-Rainbow Toasts, everyone will head down to enjoy the ambience during Ramadhan period. Deepavali is known as the Hindu festival of lights and during this period, the streets will be decorated in colourful lights. It’s a beautiful sight to see and it shows how much regard Singapore have for every race and their celebrations. Every year, Orchard Road host Best Dressed Building Contest which is why you’ll see the malls are lit with Christmas decorations, one trying to outshine the other while we actively take photos for our Instagram. It always feel so festive to walk on the streets of Orchard during December and the beautiful decorations make me feel so excited while counting down to Christmas! Singapore medical fees can be pretty pricey, which is why CHAS is implemented to help lower income families to make the visits to the doctors more affordable. Click here to have a better understanding on the scheme! Okay, before you go on your rampage on how the MRT is an unreliable piece of metal, Singapore is pretty well-connected with its transport system. To be honest, one of the pros of being a small country is the shorter travelling time. You can take the train from Pasir Ris to Tuas Link and it takes an hour and a half to reach. Of course, there are faster ways if you use Google Maps! Singapore have a strict law system that punishes crime heavily, which is why we have a relatively low crime rate, and violent crimes are considerably rare. As compared to many countries, we can walk freely during the night and not feel afraid. Our police force is reliable and quick to react, for example, the Samurai slashing case which SPF is quick to investigate and found the suspects involved in less than a day. Singapore is known as a Clean & Green City, our streets are generally clean and our air is mostly unpolluted. Even our water is so clean, we can drink directly from the tap because of our elaborated filtration system. In every district, there is adequate amenities for residents, like coffee shops, grocery stores and playgrounds. It’s pretty convenient as well because it’s mostly a walk away to your neighbourhood malls or market from your house. Click here to know more about URA Masterplan! Although we constantly complain how stressful it is to study in Singapore, it is not without a reason that we have one of the best education system in the world. According to Program for International Student Assessment (PISA), we rank top for reading, mathematics and science. This contributes to global recognition of our education certificates and provide opportunities for international career prospects. True, Singapore can get really humid on some days. But well, we are geographically located on the equator. Humid weather in exchange for natural disasters/erratic weather (eg. snowstorm), I’ll gladly take sweltering in my jeans. That’s what the ice cream uncles are for. Okay well, yes, Singapore is the most expensive city to live in. But that also means our currency is stable, so you don’t have to worry about drastic currency fluctuation. 40. Singlish See? One word can have different meaning with an addition of la, leh ,lor, liao, sia and Singaporeans will get it. As much as we like to pretend to speak good english (adding an accent when we talk to ang mohs especially), Singlish is an ingenious invention that we should be proud of. 41. Complaining I think it’s the NEWater we drink that make us complain so much. “Eh you know my neighbour hang red underwear, wah lau sibei suay leh!” It becomes a way of socialising in Singapore irregardless of any topics through complaining. Singaporeans love to eat. Even when we go overseas, we’ll stock up on cup noodles and pig out at 3am. Aren’t you glad that in Singapore, there are food places that are opened 24/7 (apart from Mcdonalds)? Jalan Kayu prata tonight anyone? Kiasu translates to “scared lose”, and yes, Singaporeans are very kiasu in many ways. Although it may seem very uncivilised which is emphasised by the long lines when there is a booth giving out free gifts, this shows a collective enthusiasm that unite us as Singaporeans. 44. Everyone is “related” Instead of addressing the middle-aged guy/lady at the market selling apples “Mr”/”Mrs”, we’ll normally call them Uncle/Auntie. It’s respectful yet it brings in the sense of familiarity within the community. In Singapore, despite our difference in race and ethnicity, we are able to coexist peacefully. We can stay within the same block together, study in the same classroom, work in the same building and we don’t have to worry about racial shootings. We have the freedom to practice religion and interracial marriages are legal as well. Yes, the man who made Singapore the success it is today. 53 years ago, we were a developing nation. Today, we are one of the leading countries with a beautiful city skyline and flourishing economy. Growing a third world country to a first world country is no easy feat. Thank you, Lee Kuan Yew, for dedicating your whole life to make Singapore successful. Having the world’s most powerful passport shows that we have strong international relations with other countries. According to Henley Passport Index, we rank 1st for travel freedom, gaining visa-free access to 189 countries. An airport is like a entrance portal to another country, and first impression matter. Changi Airport is ranked the BEST airport in the world, because of the array of amenities irregardless whether you are a traveller. Within Transit, we have a sunflower garden, roof-top garden pool and tons of lounges for travellers to rest. We even have a grocery store, clothing shops and 24 hour food places within the terminals! Brands like Scoot, Carousell, Old Chang Kee are some of the local brands that are spreading globally. See, Singapore are capable of producing international brands! Since 1972, Singapore Girl represent a part of Singapore’s identity with their signature sarong kebaya and neatly comb french twist. We know that cabin crews go through a rigorous training program in order to deliver the best travel experience to passengers. It is no wonder that Singapore is awarded the World’s Best Airline Award based on the surveys rated by travellers from around the world. 52. Singapore Armed Forces Despite how much SG males complain about NS, it’s the period where you jiak sai together with your fellow bunkmates which you’ll reminisce after you #ServeAndFoff. Don’t believe me? Ask your father. You may have ORD-ed, but the NS stories will always be part of every male who have served the country. SAF have been defending the nation against terrorist threats which has been a rising global concern, so we thank you, SAF, for your service! 53. Local memes And to conclude, we have our own local humor that is understood by all Singaporeans. Let us know if we missed out anything and no, this is not sponsored by Lee Hsien Loong.